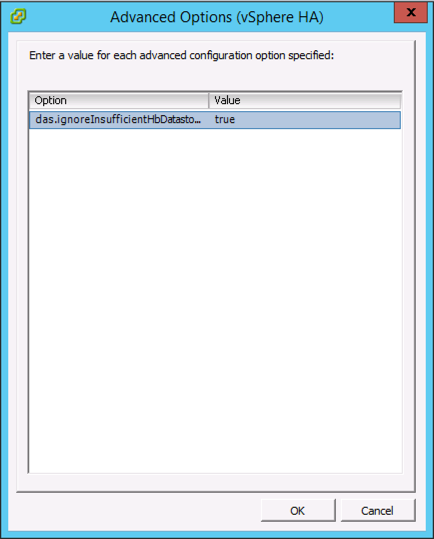 I had this on my test network today, and to be honest thats not really surprising because I don’t have any shared storage. Note: You can see the same error if your ‘HA Datastore Heartbeating’ settings are set to, ‘Select only from my preferred datastore’, and you haven’t selected any datastores! 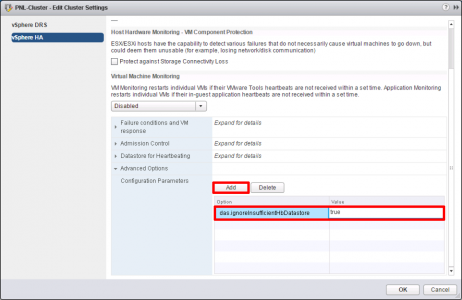 We have had networking heartbeats since ESX3, but with vCenter 5 we also have datastore heartbeats as well, that’s what it’s complaining about. In the VI Client > Right click your Cluster > Edit Settings > vSphere HA > DataStore Heartbeating > (As you can see I don’t have any but if you did you can select the datastore from here). 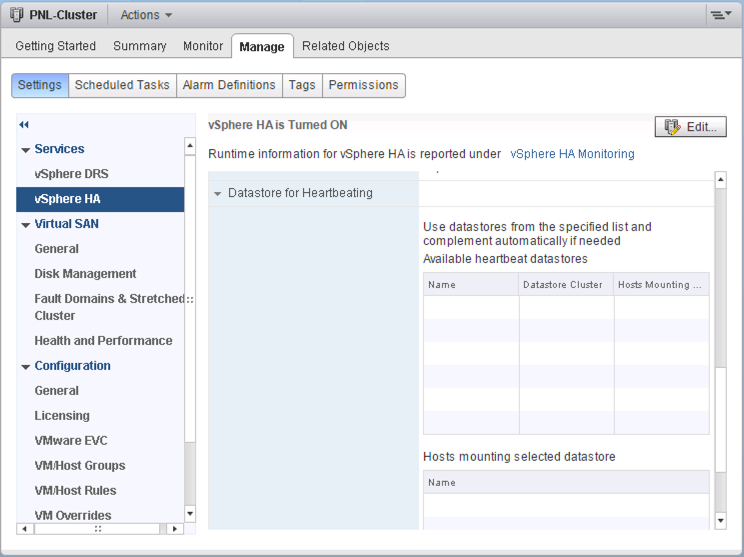 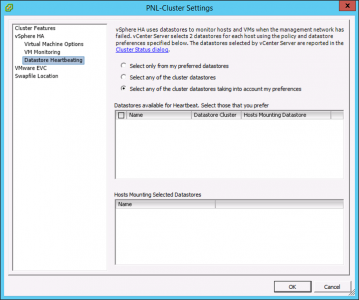 In the Web Client > Select your Cluster > Manage > vSphere HA > Expand DataStore Heartbeating. 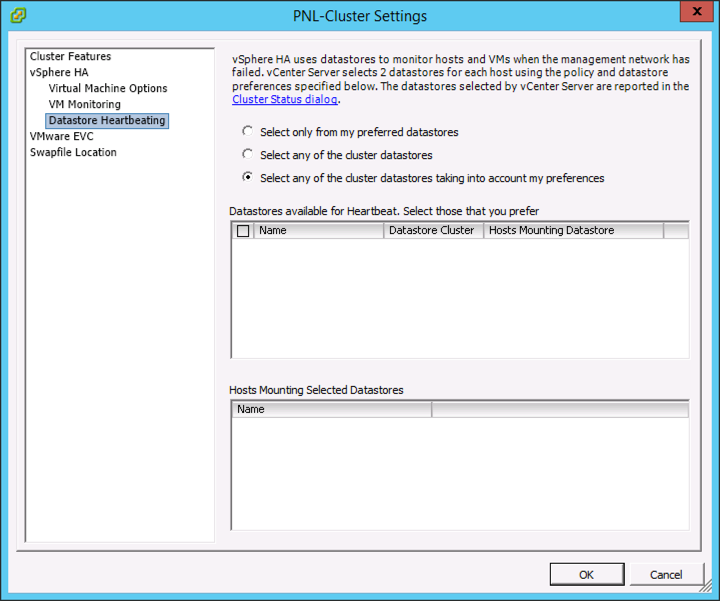 Then right click each of the ‘hosts’ and select ‘Reconfigure for HA’. 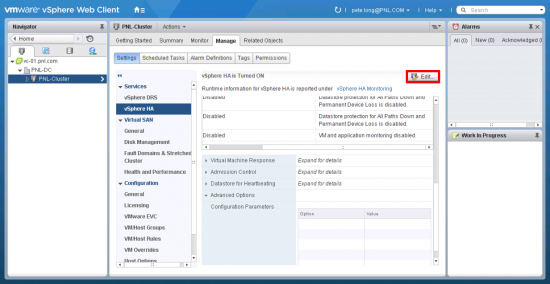 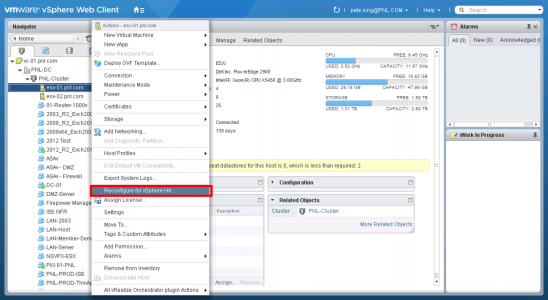 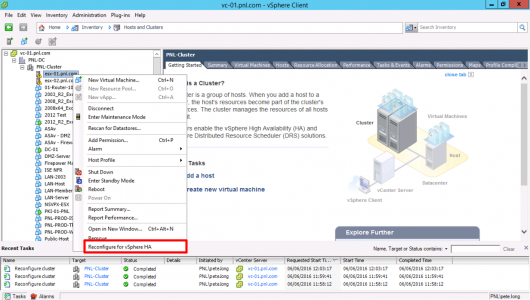 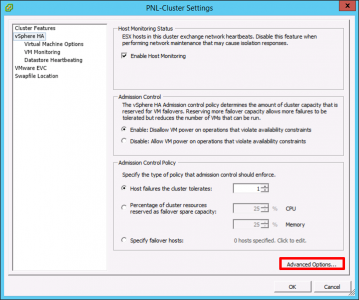 VI Client > Right click your Cluster > Edit Settings > vSphere HA > Advanced Options.